While all eyes have been on the volcano in Bali, the Siberian Shiveluch Volcano erupted yesterday for over a 20 minutes spewing ash 6 miles (10 kilometers) high into the sky. The 1963 eruption in Bali was one of the largest and most devastating eruptions in Indonesia’s history. Nevertheless, it was still only a VEI5. Ideally, an eruption in Bali was due from a cyclical perspective in 2018. In the case of the Siberian Shiveluch Volcano, there have been significant eruptions taking place in 1854 and 1956. 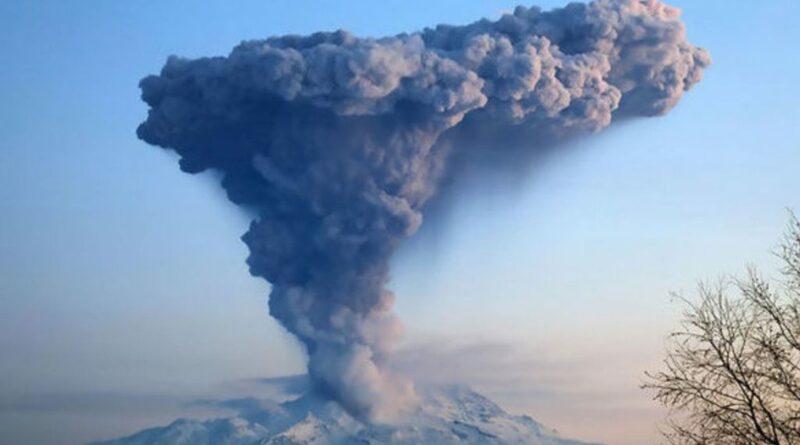 The most recent eruption began again on August 15, 1999, and have continued periodically when on February 27th, 2015, Shiveluch erupted spewing ash into the atmosphere about 30,000 feet crossing the Bering Sea and into Alaska. From a cyclical perspective, this particular volcano was due to start again in 2017. If we continue to get several volcanoes erupting into 2018, then this should be an active period and it will contribute to Global Cooling. Our models of food prices appear to be rising after 2018 moving into 2024. This would tend to indicate that we may indeed be looking at a rising in the volcanic activity in many places.